يشكل فندق Matamanoa Island Resort بموقعه الممتاز في قلب Matamanoa Island نقطة انطلاق ممتازة لاستكشاف جزيرة مامانوكا. يمكن من هنا للضيوف الاستمتاع بسهولة الوصول إلى كل ما تقدمه هذه المدينة النابضة بالحياة. يوفر الفندق بفضل موقعة الجيد وصولاً سهلاً إلى أهم معالم المدينة.
. إن الخدمات الممتازة وحسن الضيافة العالي في Matamanoa Island Resort تجعل إقامتك تجربة لا تنسى. هذه بعض الخدمات الموجودة في هذا الفندق: تخزين الأمتعة, واي فاي في المناطق العامة, خدمة الغرف, مطعم, جولات. ادخل إلى واحدة من الغرف 46 وتخلص من عناء نهار طويل بمساعدة مجموعة كبيرة من الخدمات كمثل مسبح خاص, غرف لغير المدخنين, مكيف هواء, مكتب, ميني بار الموجودة في بعض الغرف. يقدم الفندق مجموعة رائعة من الخدمات كمثل شاطئ خاص, حمام سباحة خارجي, غوص, صيد السمك, سبا، لجعل إقامتك تجربة لا تنسى. 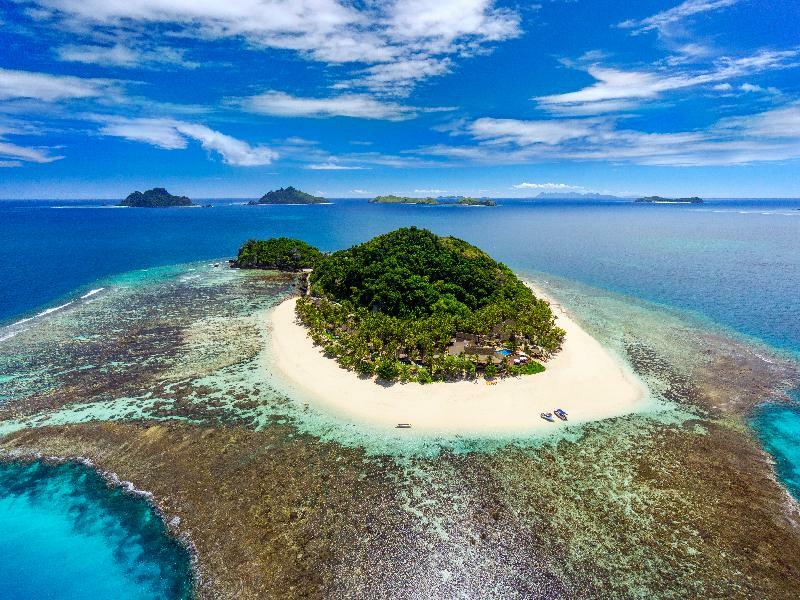 اكتشف مزيجاً ساحراً من الخدمة الاحترافية والخيارات الواسعة من وسائل الراحة والمتعة في Matamanoa Island Resort. يُرجى ملاحظة أنه سيخصم رسم إداري على بطاقة الائتمان بنسبة %4 في المنتجع إذا شرعت في الدفع بواسطة بطاقة الائتمان. Everything was perfect until my husband and I were electrocuted in the bungalow swimming pool and the second time in the bathroom. I was in shock and my hand was sore for a while that strong it was. Staff fixed it only after I had an electric shock second time. Otherwise that was a really lovely place, snorkeling was amazing! The staff were friendly and helpful. We would recommend Matamanoa to anyone looking for an adults only holiday. Overall a pleasant experience. Went for the snorkeling, which was ok, about on par with other Mamanuca islands, but not the best. We were not big eaters so didn't get either of the meal packages, choosing instead to purchase restaurant food a la carte. Standard of food was good, but catered to a Euro-Western taste, so Asian visitors were probably disadvantaged. Smoking is permitted in all open areas of the resort , and there were a lot of visitors who smoked, which limited our ability to sit with comfort near the pool or in the lounge. We dined early to avoid this problem and spent a lot of time away from the main buildings. Staff were friendly and helpful, as they are everywhere in Fiji. The reef can be snorkeled from the shore, best around high tide, but there are also boat trips to other areas. Sharks, turtles, plenty of fish. Coral around the island and elsewhere is quite broken up with some areas of bleaching. Good showers and airconditioning in our bure. Very friendly staffs... :D Wish they could have some daybed by the beach, instead of just by the swimming pool. Very beautiful island and wonderful water with house reef. We even saw reef sharks when snorkelling around the house reef. The only disappointed thing is the room clean. We had cockroach, sheet with blood stain.... Really need to improve. I literally cried when our boat pulled away from Matamanoa. This place is paradise. 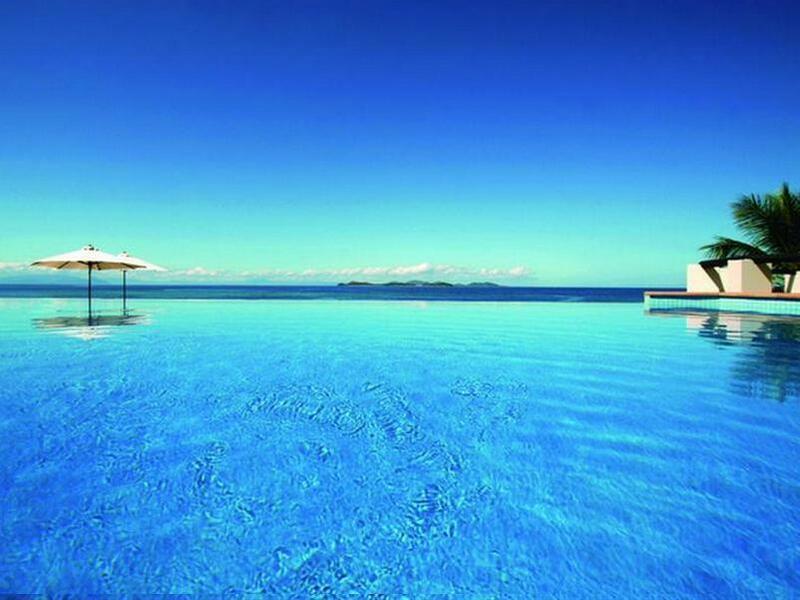 If you want to experience somewhere to get away from it all, it doesn’t get any better. White sands, tropical reefs on your doorstep, no screaming kids or crowds. The staff are warm and attentive. There are free activities and tours available but why would you want to leave paradise? I would opt for an oceanview Bure or villa if you can afford it. That and more menu variety would have made my stay perfect. I cannot wait to go back to my island paradise. The property is quite old The best thing is the view The beach is small A lot of activity is provided. Th staff are friendly and helpful. There is a bonus coupon for massage upon the arrival. If you can stay at the villa rather than a basic room do it. Spa on the island is good for massage, open air with ocean breaking sounds in background. Food is okay, not great. I would like to put in writing how dissatisfied we are following our recent stay at Matamanoa island resort. I had booked a beach front villa for my partners birthday. We were allocated a beach front bure based on the price we had paid and when escalating this to reception and then the manageress they were defensive advising I had made two bookings and tried to make it that they were doing me a favor they hadn't charged both bookings. I was told if we wanted to move to a beach front villa we would have to pay extra despite my booking confirmation confirming I had booked a beach front villa. I knew this was incorrect and after much stress, the manageress realized this was a booking error and honored our booking advising she would move us to a beach front villa. This took a further three hours to move rooms, despite constantly being told by management it would only be "15 minutes". This was a real disappointment as this resulted in us missing the snorkeling tour that we had planned specially for my partners birthday. We were offered $100 FJD compensation which I had to remind reception on check out as this was not reflected on our bill and also the room rate on our final bill had been increased an additional $100 FJD a night which again I had to raise and finally was amended as per the booking. What should have been a relaxing, enjoyable vacation to celebrate a milestone birthday resulted in a stressful and un-enjoyable trip. Not to mention the poor standard of food and food positioning I personally had from the Crab on Saturday evening. it really should not be recommended . if you ever go there bring food with you. The prices for breakfast lunch and dinner are rediculous. For two day we spent $450 on two dinners and one lunch for the two of us. Then to top it off they mixed up the receipts from the priviouse people who stayed in the room. I am surprised on how high the reviews are for this resort. We stay here 2 days in the beachfront villa，it was awesome.Beautiful water，great snorkeling within steps of my door. Kayaks were fun. The staffs were great and friendly. My wife and I arrived to this beautiful island to be welcomed by the friendly staff and the stay was ever bit of what we wanted, needed and expected. Like all places there is always room for improvement and it is ever evolving. I am sure that with the island new engineer and his ideas to move forward the standards will rise even higher. We are looking to forward to our next experience in paradise.